Wreck | Oh Look! It's A Blog! Bottom of the deep blue sea. DISORDERLY. created a pretty neat “wrecked” set for The Epiphany. 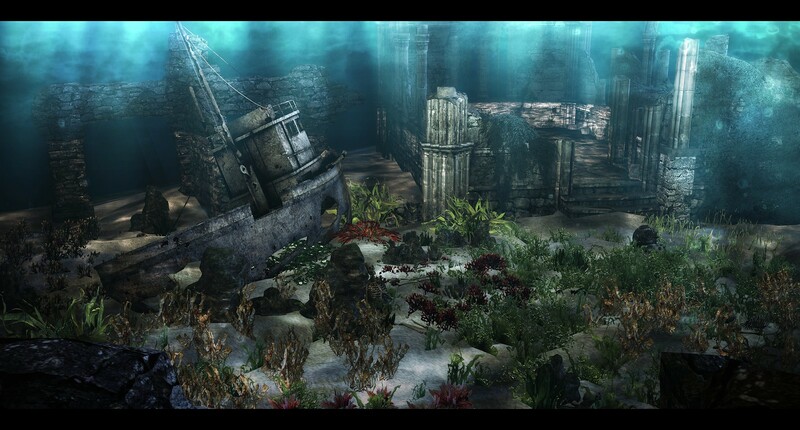 The ship wreck is pretty impressive but there are also a large assortment of underwater plants and bones – ooooo spooky.